Why is everyone talking about pollinators? 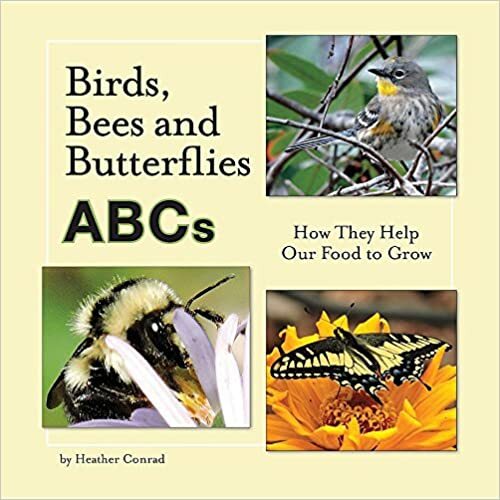 Birds, Bees and Butterflies ABCS: How They Help Our Food to Grow is a children’s picture book with over 70 color photographs of birds, bees and butterflies from around the world. The pictures illustrate the alphabet as well as simple text providing explanations of pollination and other bird, bee and butterfly behaviors that help plants grow. For ages 4 -8. Preschool to Grade 3. There are “can you find” activities to engage children of all ages. This is a valuable enrichment book for classrooms, libraries and home. 44 pages. $14.95.